Dr. Syllette King always appreciates feedback from her valued patients. To date, we’re thrilled to have collected 27 reviews with an average rating of 4.89 out of 5 stars. Please read what others are saying about Dr. Syllette King below, and as always, we would love to collect your feedback. I never have any issues with my experiance with doctor king. She makes you feel welcomed and you feel at ease sharing and issues or concerns that you may have. Professional but made to feel as if I was wrong in my choice of not taking birth control. I felt heard with my concerns. I was treated with great respect. 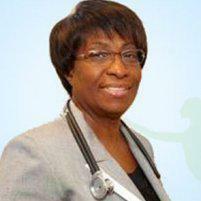 Dr. King is very knowledgeable in her area and genuinely cares about her patients.